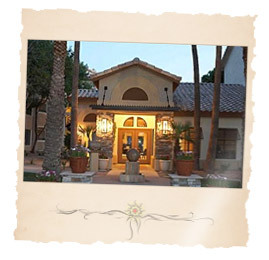 Our MyOwnArizona™ Real Estate agents work with three major property types. It's no coincidence that these are the three Arizona property types accounting for almost all of the real estate transactions in the State of Arizona. As a new buyer or seller, you may want to narrow your focus and specialize in one or more Arizona property types. A study of the number of Arizona properties of each type in your desired area, and their relative values, would indicate the possible financial rewards of working with those types. 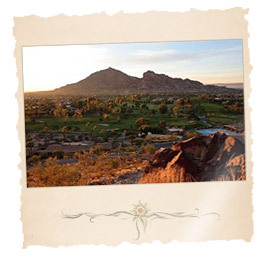 The residential type of Arizona property is by far the most popular with our MyOwnArizona™ experienced agents. That's no surprise, since the year 2000 United States Census shows more than 105 million occupied housing units sold. Our MyOwnArizona™ Real estate agents then further specialize in types of homes, including condominiums, separate homes, duplexes, high value homes, vacations homes, etc. There's plenty to go around. 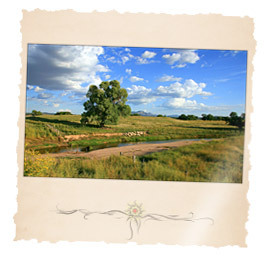 Our MyOwnArizona™ Arizona home lots for sale, ranch land for sale and AZ farm property specialists have long been quite successful in this area of business. Generally the Arizona property size of acreage is quite large. 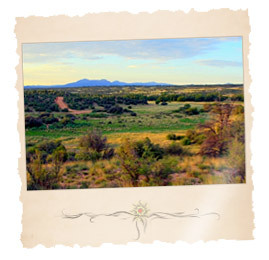 Be sure you understand the specific buying requirements and motivations of your Arizona land prospect. In rapidly growing areas, specializing in Arizona home construction building lots for properties can be lucrative for an Arizona land buyer or AZ property seller. Arizona commercial property can be available land zoned for Arizona commercial use, or an existing Arizona business building or buildings. AZ commercial property valuation requires a more complex method than other types of Arizona real estate, taking into account the income potential of the Arizona property, historical revenue, cash flow with owner perks removed and much more. Unless someone has extensive Arizona business valuation experience, it's better to enter this specialization with the careful guidance of an MyOwnArizona™ Commercial agent for commercial real estate purchasing and sales in Arizona. • 80% Single-Family Residences in Arizona. • 16% AZ Condominiums, Townhomes or Patio Homes. • 3% Manufactured Homes in Arizona. • 1% AZ Duplex, 4-Plex, Twin Homes or Gemini Homes. • 0.5% Lofts in City Downtowns of Arizona. • 0.1% Modular Manufactured Homes in AZ. 1. The Arizona Regional Multiple Listing Service (ARMLS) and Tucson Arizona Regional Multiple Listing Service (TARMLS) do not have definitions for townhouses, patio homes, twin homes or for any other home type, and there are really no legal definitions for different types of houses in Arizona. The County Assessor, for example, lumps several these Arizona home types into the same category. 2. It is not uncommon to see the identical Arizona home marketed as a townhouse by one person and as a patio home by another, or as a patio home by one person and as a twin by another in Arizona. This is the most standard Arizona property type which is designed to support just one dwelling. This type of property does not include a common area as you'd find in a condominium complex and similar developments. They do not share walls with neighboring properties, and should have land separation from all sides of the property, as well as above and below. These are the least expensive Arizona properties to finance, as they are the norm. 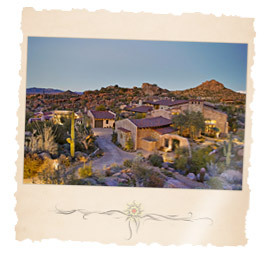 Second Homes, also known as an Arizona "vacation homes" are residences typically found in recreation areas or resorts that serve as seasonal accommodation. Arizona is a popular destination for the winter months, so many season occupants reside here only part of the year. These properties are in owned in addition to a primary residence, and can be AZ condominiums, townhouses, or single-family residences. Arizona vacation homes are common in resorts and warmer climates, and may be rented out to other vacationers while not in use. Financing is more expensive than single-family residences, however less than Arizona investment properties. An Arizona condominium is defined as the individual ownership of a building with access to common areas owned by all residents within the complex. Association fees must be paid to maintain, repair, and improve the common areas shared by residents, which typically include a pool, spa, tennis courts, walking paths, and more. Banks and Arizona lenders often finance condos at higher interest rates. A single-family dwelling typically made up of two floors that shares side walls with nearly identical properties. It differs from a condominium in that no neighboring unit is above or below, and usually features an outdoor space in front and behind the property. It's similar to a condominium in that tenants have access to a common area such as pool, spa, tennis courts and more. Many banks and lenders consider townhouses single-family residence, making mortgage financing more affordable. Often referred to as "mobile homes" or "trailer parks", these types of properties are constructed on a non-removable steel chassis which allows them to be transported. These homes are often located on leased land, such as in trailer parks and adhere to the Federal Construction Safety Standards Act (HUD/CODE). They provide low-income housing as well as lifestyle housing for groups such as senior citizens. Financing may be in the form of a personal property loan, and at a premium to mortgage loans. Patio homes in Arizona were traditionally 1-story homes that shared at least one side wall and had a back patio but not necessarily a backyard. Patio homes are usually built with 2, 3 or 4 homes in each building instead of the continuous row of homes common with townhouses. Today in Arizona, about 85 percent of homes listed as patio homes are single level homes. For the Arizona Real Estate industry and the County Assessor, a duplex is a building with 2 units in it. If you own a duplex, you own an entire building that has 2 units in it. Similarly, if you own a 4-plex, you own an entire building that has 4 units in it. The real estate industry in Arizona calls a single unit within a duplex a "gemini" or "twin" home. Nevertheless, most people who are not real estate professionals call both the single unit and the entire building a duplex. Lofts are a type of condominium that originated when warehouses back East were converted into apartments and condominiums. Here are some characteristics you might see in lofts; located near downtown, very high ceilings (sometimes 20-foot tall), exposed pipes and ducts in the ceiling, a great room floor plan, floor to ceiling windows, exposed interior brick, stained cement floors even in luxury homes, metal stairs and handrails, stainless steel kitchen appliances, and modern/contemporary furnishings. Modular homes are similar to manufactured homes, though they adhere to building codes required by the specific state, county, and locality, and do not carry building or zoning regulations. They also differ from manufactured homes in that they don't have an axle or frame, and must be transported on a flat-bed truck or like vehicle. Financing may be in the form of a personal property loan, and at a premium to mortgage loans. An Arizona property that is non-owner occupied, owned for the purpose of financial gain either through renting and/or appreciation. Even if the Arizona property does not generate income, if the owner does not occupy the home, it is considered an Arizona investment property. 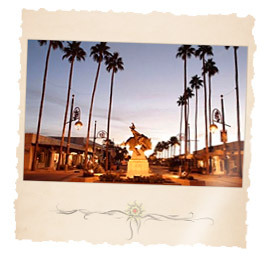 Arizona investment properties include single-family residences and multi-unit properties. Arizona multi-unit investment properties are among the most expensive to finance. Arizona multi-unit properties can be primary residences or investment properties. An Arizona 2-unit property for example may be occupied by the owner in one unit, and a tenant in the other unit, defining it as a multi-unit primary residence. Or an Arizona 4-unit property may be solely occupied by tenants, defining it as a multi-unit investment property. Arizona multi-unit properties carry additional financing adjustments to fee, more substantial for 3-4 unit properties. Arizona multi-family commercial real estate property types include AZ duplex homes, and other construction for habitation by mulitple family groups. Arizona condominiums are frequently called multi-family because of their construction as a group, but are normally listed and sold as single family residential units. Arizona duplex homes are also frequently listed and sold as residential units to a buyer that lives in one side and rents out the other. This category would include Arizona single buildings used as stores for clothing, electronics and other consumer products, as well as AZ malls, strip centers and the like. Arizona restaurant spaces are a specialty subset of the retail category, with some listings shown as restaurant/retail. Valuations can be based on size and AZ land value, retail sales per square foot or other Arizona investment return calculations. 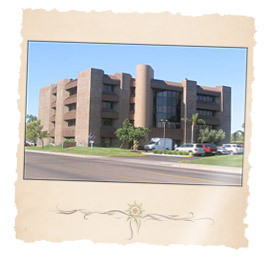 An Arizona single building designed for office use, or a group of offices in a single building or cluster of buildings would fall into this category. When Arizona offices are grouped in structures with single ownership, they are listed as Arizona commercial office rental property. The owner derives income from the rental payments of the office tenants. These can be valued based on the rental income return on Arizona investment, rather than methods using square footage and land value. Medical & Dental offices are a subset in Arizona. Please contact us for further explanation on all Arizona real estate types at: (520) 222-6929 and info@MyOwnArizona.com. How? By analyzing real estate information on millions of homes in Arizona and nationwide as well as helping you understand hyper-local Arizona real estate trends. Refine your real estate search in AZ by price, number of bedrooms, bathrooms, property type (including townhomes, condominiums and single-family homes), and more. Use our interactive Arizona home price map to view real estate activity across Arizona ZIP codes and in other cities nearby Arizona. See local real estate trends, and compare your home to recently sold homes in Arizona and to similar homes for sale in Arizona. View our Arizona real estate guide to see average listing prices, sale prices and information for local school districts. Join the Arizona community to get in touch with Arizona MyOwnArizona™ real estate agents and other MyOwnArizona™ real estate sellers and buyers resources.